Christmas 2017 | Where's Fran? Parish life on Guam is satisfying… if you don’t mind eating alone at the rectory most evenings. But there are the wonderful exceptions like Thanksgiving, when I was invited by parishioners to two family dinners. Even better than the food, delicious as it was, was the conversation with the families–six good hours of it in all. Such personal encounters are the great blessings of parish ministry. Then there is the work: three or four masses on Sunday, and often two or three on weekdays; as well as endless blessings of statues, automobiles, rosaries, houses, the sick. But each is an opportunity to answer the call for help by people looking for something special. A major part of our work here are the visits to the nearby hospital and the funeral masses that occur with distressing frequency in our parish. So often I’ve found myself standing in the viewing room blessing someone who has just passed away in the presence of the family. I dutifully recite the prayers over the sound of weeping with a profound sense of impotence in the face of their grief. If only there was something I could do to comfort them! Yet, that might well be the story of my life–a passion to remedy the harm that so many people suffer today, but a sense of inadequacy of anything I might produce, all those publications and films included, to create the peace and trust and love that everyone deserves. Then, too, there is the humbling awareness of my own contribution to the harm. Do we get all get sentimental as we age? Listening to music on the car radio brings vivid images of persons and places in the past along with waves of nostalgia. It could be triggered by a song from the BeeGees, the Village People, Abba, James Taylor–or even further back, to the Platters and the Supremes. Life seems to get simpler, as our arteries and brains harden. Our life seems to revolve around a few basic truths, to which we cling with a passion. We perceive patterns and relationships in our life that we would like to share, but now we can’t even seem to draw on the same vocabulary that we once had at our command. Life with a thesaurus always close at hand. The trials of old age! Don’t worry, I haven’t gone completely soft yet. My booklet “Tourism’s Take-off in Micronesia” has just been published and put on-line. Someday I hope to complete the two videos we’re working on now, but my compulsive drive to finish the project and get on to the next one is modified by the realization that I no longer set the deadlines–if I ever did. As we old-timers look through the rearview mirror of our lives, we see those for whom we are especially thankful. That’s why you’re getting this letter with a grateful wish for Christmas blessings now and into the coming year. 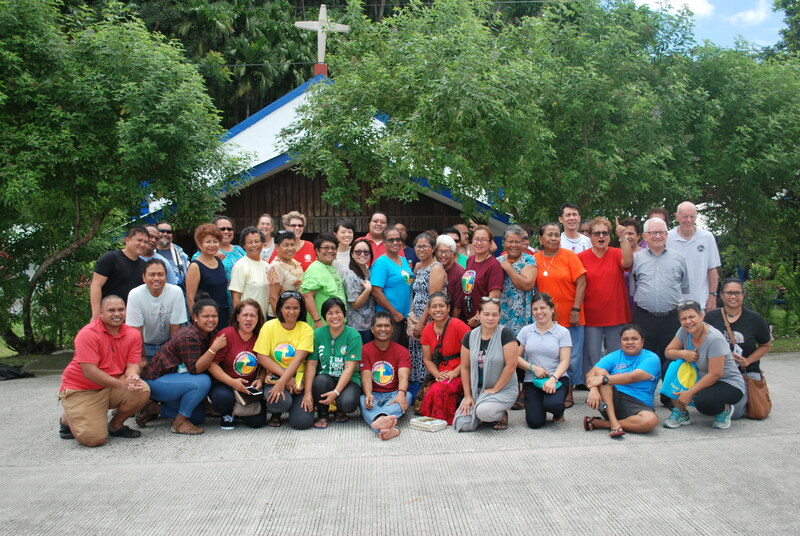 Francis X. Hezel, SJ, is a Jesuit priest who has lived and worked in Micronesia since 1963. 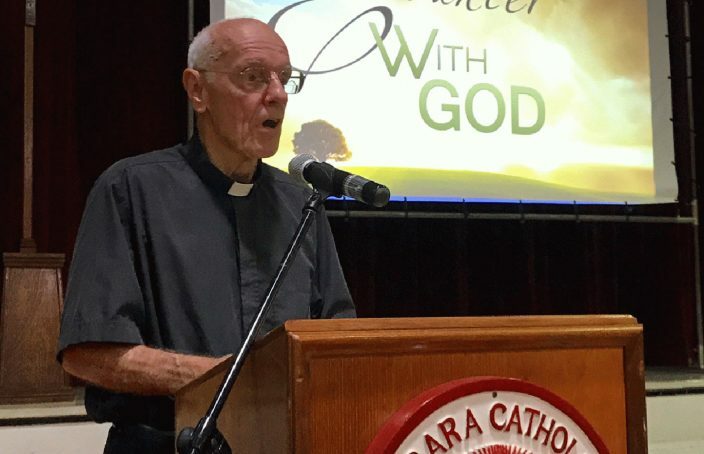 At different times he has served as high school teacher, school administrator, pastor, and regional superior to the Jesuits of Micronesia. He spent thirty years directing the Micronesian Seminar, a non-profit, non-governmental organization based in Pohnpei, Micronesia. He has written and spoken widely about social change and its impact on island societies. He has also written several books on Micronesian history, including The First Taint of Civilization, Strangers in Their Own Land, and The New Shape of Old Island Cultures. His most recent book, Making Sense of Micronesia: The Logic of Pacific Island Culture, is available through University of Hawaii Press.